Continued evolution, or a fresh direction? Since it first emerged in late 2011, the Nintendo Direct concept has been integral to the big N's strategy for communicating with fans. In busy periods there can be multiple broadcasts in a single month, while longer gaps of 6-8 weeks have become relatively common in the past two years. We're in the midst of a similarly notable gap, though with clear and understandable reasons. There was, of course, the E3 Nintendo Digital Event on 16th June, but then the terribly sad news of Satoru Iwata's passing on 11th July. For around a week that followed Nintendo was in mourning with reduced business activity, subsequently resuming with Genyo Takeda and Shigeru Miyamoto in charge on an interim basis. It's still been little over a month since Iwata-san's death, though in the hectic interconnected world of corporate business Nintendo has, in recent weeks, seemingly been back up to full speed with its plans for upcoming releases in the remainder of 2015. Discussing Nintendo Direct is particularly difficult without referring a great deal to Satoru Iwata, which is still a sensitive subject. Yet Iwata-san was at the creative core of the Direct concept, and very much the image of the broadcasts - the 'Directly' gesture is much-loved and referenced. It was a desire to speak directly to Nintendo's biggest fans that gave the simple but brilliant idea its name. The broadcasts, as a result, have often had a comedic and light-hearted approach. There are some in-jokes that only dedicated fans will understand, and the series has also taken on various forms and styles since the Satoru Iwata-led early days. Nintendo of America and Europe often produce their own regional variations, but we've also become accustomed to smaller scale and more focused Directs. Though 30 to 50 minute showcases are still the main events, we now have Directs focused on individual games, or even 'Mini' Directs that direct more attention to the eShop or mid-tier retail releases. As a brand, then, it's powerful, but at the same time its frequency has decreased - generally - through 2014 and up to E3 this year, while events from the LA show are given their own distinct branding as Digital Events and showcases. In fact, some broadcasts referenced as Nintendo Directs by some - such as the Western iteration for Xenoblade Chronicles X earlier this year - aren't actually Directs, as they've not been described as such by Nintendo. In addition to that scaling back, the last conventional Nintendo Direct, a Japan-only video in late May, was hosted by Morimoto-san, a new face to many. The Japanese broadcasts can be a little more formal in approach than those prepared for the West, but it was nevertheless relatively flat in tone, though credit is due to Morimoto-san for a solid début. Iwata-san's final presentation in person was on 1st/2nd April (depending on timezones), though large segments of that Direct were handed over to Bill Trinen and Satoru Shibata in North America and Europe, respectively. 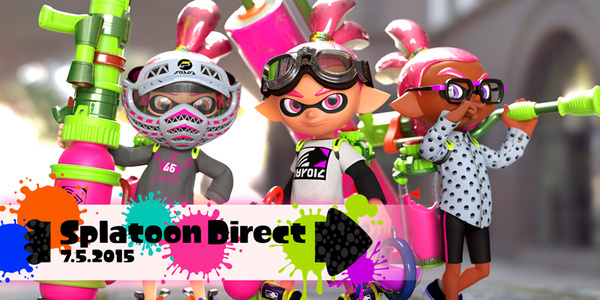 The Splatoon Direct, like examples before it tied to games such as Mario Kart 8 and the aforementioned non-Direct for Xenoblade Chronicles X, focused on stylish production values and didn't have any of the favoured presenters from throughout Nintendo. Add in the E3 Digital Event approach of slickly produced segments edited into a cohesive whole, and Nintendo's evolved beyond face-to-camera followed by simple gameplay trailers. Nevertheless, for Direct aficionados the absence of Satoru Iwata will be keenly felt - the former President and CEO was, lest we forget, a trailblazer in breaking down the conventional boundaries between corporate executives and consumers. In fact, fans is a more appropriate term than consumers, such was the humour and humanity that Iwata-san brought to the broadcasts, in his own appearances and in the creation of them in the first place. Occasional treats like Iwata Asks interviews also contributed to his relationship with fans. The role of Iwata-san's ultimate successor will be interesting to follow, then. Will we have the next permanent Nintendo President leading the key Nintendo Direct showcases, or will the trends move more towards the localised versions and slick presentations that have typified a number of broadcasts? For fans of the concept as a whole, those will be key areas to watch for in the next Direct and beyond. There's already been a great deal of evolution, but another question relates to whether Nintendo will, partially or fully, step back from the Direct concept towards other strategies for reaching consumers. A key question mark will be over whether Nintendo will do more to court mainstream and less invested consumers and media. With the best will in the world, a standard online Direct broadcast is primarily of interest to the company's biggest fans and dedicated gaming media, with occasional major announcements getting some press and attention beyond the Nintendo bubble. The 'Digital Event' branding that Nintendo of America adopts for E3 - along with live events during the expo week - are perhaps an indication that the Direct brand is typically painted as a product primarily for fans. E3, of course, is seen by all the big industry players as a way to promote themselves to a broader spectrum of consumers, with NoA courting publications such as TIME in LA. Direct's purpose is, of course, to reach fans, but a potential shift could see more of a split between these broadcasts and events catered to a broader scope. Primarily, we're thinking of major event and expo presentations and their potential roles in generating wider attention and awareness. Though Nintendo attends major events like Gamescom, for example, its presence there and at the many expos in North America and elsewhere are typically in the form of booths alone - the company doesn't even have a booth at the Tokyo Game Show, not for a number of years. 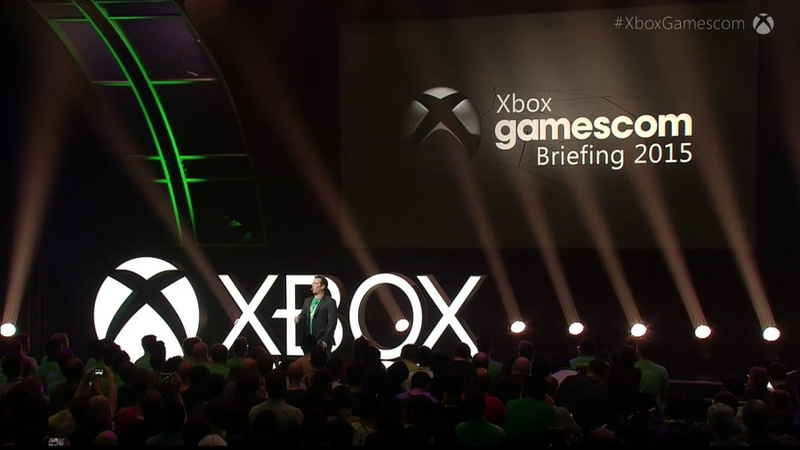 Yet rivals utilise events like these to stream live conferences and press events - Microsoft, for one, gained a lot of press from an E3-style briefing at Gamescom this year, while Sony typically employs a similar approach at the Tokyo Game Show. In the past we've praised Nintendo's movement away from the artificial whooping and often clunky delivery of live briefings like these, and there's a valid argument that ignoring 'the game' with media and targeting fans at home directly is the right approach. The downside isn't from the perspective of most enthusiastic fans, it's the struggle away from Nintendo-centric resources to generate the hype and attention that old-fashioned briefings seem to achieve. By producing these sorts of events outside of E3 at major events in Europe and Japan, Sony and Microsoft get plenty of multi-platform and technology media attention at key points in the year. Yet perhaps a broader outlook is needed, too. Nintendo has succeeded in charming its fans and creating a legacy of informative, fun and entertaining broadcasts that are familiar with many gamers. Yet completely ditching the approaches taken by rivals at major expos and media-centric occasions can have its downsides. The messaging to Nintendo fans is on-point and well delivered, but what about messaging to those that are less committed to the company, or less informed? Consumer and technology events, through their very nature, give a new shop window in which to flaunt goods and win new fans. These events have their presence online and in media, beyond the show floor, so Nintendo's booth doesn't reach the full potential audience. Would occasional 'briefings' at some major events be that bad an idea? We've seen with live events and some online streams from the likes of San Diego Comic-Con, Hyper Japan (London) and Gamescom that Nintendo is trying to embrace all means of communication. Perhaps all it lacks are the high-profile briefings that a wider audience sees. By their very nature Nintendo Directs go straight to fans - it's a concept that works. Yet the message - perhaps with a different tone - also needs to be delivered more broadly, especially as Nintendo moves towards new products on smart devices, the 'NX' and Quality of Life. Nintendo Direct still matters, and we hope to see it continue and evolve in months and years to come. Yet while many - including this writer - have a distaste for the fakery and dourness of conventional media events and live briefings streamed online, they may be a necessary addition for Nintendo to consider. An addition to potentially less frequent Directs - as resources are finite - rather than a replacement. Nintendo has changed the game with its Direct broadcasts and brilliant formats at the likes of E3, but it feels like occasional concessions to the dark - slightly tacky - old ways may also be required. It works well for Sony, Microsoft et al, and Nintendo can try and have the best of both worlds, reaching fans and potential fans alike. What would you like to see from Nintendo Directs in the coming months and years, and do you agree that occasional live 'briefings' should be considered for the future? Let us know in the comments. I' getting a feeling we may have sadly seen the last of Nintendo Directs. When Iwata was sick, we experienced a several months-long gap. Without his guidance, I think the format may be done. Worst decision ever if it is, by the way. I personally hope to see Directs continue. I kinda miss the once-a-month frequency of them also. I still want Nintendo Directs. I hope there's a presentation the first week of September. It won't be the same without Iwata, but he probably would've wanted Nintendo Directs to continue. We all want directs to continue 😀 not sure if it will be possible without Iwata but we shall see. But yes they definitely need to get their message out there more often and to more people, this isn't news though Nintendo's marketing is extremely poor especially here in the UK. Although with the audience here they might see advertising as a waste of money. Despite some of the mistakes he made with the Wii U, Iwata's Nintendo directs were a really great idea. They take somewhat obscure Indie games and show their progress to mainstream Nintendo players. It helped great games get the spotlight and anticipation they were due, and probably helped console sales a bit. I seriously doubt games like Splatoon would have sold anywhere near as well without Nintendo hyping them up. It also makes you feel like work is still being done on new games for your console without having to dig up kickstarters and small nintendo fan websites and such to find evidence of it. Definitely a smart business decision to continue them. They keep the community involved and excited for what comes next. What Nintendo really needs to fix/change can basically be summed up to 2 things: 1. It needs better launch marketing and advertising, especially in the west. 2. It needs to rebuild bridges with third party developers like Square Enix. Porting Japanese releases would also help. I think they've underestimated the popularity some of their games would have in the west. And if they're not getting third party support, they might as well be porting their Japanese releases. A Nintendo Direct once every three or four months would be perfectly fine by me. There will be an obvious vacuum/void in any future Nintendo Direct however, it would be a shame to see them go. They were a short but sweet highlight for Nintendo fans to look forward to. I am thinking we may see one more this year, perhaps in September or October time, then a continuation of (an all new) Nintendo Directs from 2016 onwards. I too want to see Nintendo directs . I definitely want the Directs to continue. I also think that the "Directs only reach the fans" thing isn't true thanks to the power of social media. They trend worldwide almost immediately. Word of mouth on social media is a powerful force. Yeah, I wanted Direct to continue. I'm not sure if we'll ever see another Japanese figure like Iwata-san to lead the Direct, but I'll be happy to see Bill Trinen and Reggie continue to run it, with some Treehouse member making appearance. Keep the Nintendo Directs. They are excellent sources of news and information. Saying that they are only for the most dedicated of fans and will not generate much hype is a bit disingenuous. Games like Majora's Mask 3D and Tomodachi Life (in the west) sold off of their E3 hype. None of those two games were ever featured at E3/TGS/Gamescom. However, I hope they return to the live E3 press conferences. Saying Directs should end because Iwata is gone is like saying nobody else should be allowed to paint because X famous painter died. If anything, you need MORE people painting. Keep the directs, and bring back puppet Iwata. I think Nintendo needs to do what is going to get them more press coverage. And Nintendo Directs don't really do that. They cater to the core market, but are largely ignored otherwise. I won't be shocked if Nintendo Directs die with Iwata, and I'm OK if that is the case. I don't expect them to do another one for awhile. They said we all the game coming out in the next 6-8 months at E3.... and the Nintendo audience slammed them for what they showed. Maybe another around Oct. 1 to remind people about the holiday games, but I don't expect them to be a very frequent thing, if at all, from here on out. I think as much advertising Nintendo can do the better. Direct is for the fans and I sincerely hope it continues even with the sad vacation Iwata-San has taken. His successor will do a similar job. Only this time be a bit more ruthless with the competition. Sony and MS are certainly not doing Nintendo any favours, not that they need to. Putting an end to Nintendo Directs just because Iwata died would be a foolish idea, they're a great way to keep the fans informed and engaged. As for the live conferences, they don't really need them all of the time because the Digital Events can work just as well if done right, but they shouldn't completely abandon them either. I really can't say much about what direction the Directs will go in until we know who Iwata's successor is. @DarthNocturnal I think it's more like - Nobody else should paint Campbell soup cans b/c Warhol died. Nintendo Directs need to end. If they have another one we will spend more time comparing the new host to I watt and being sad b/c of his passing than being happy for the new game announcements. And we'll spend all our time leading up to the event wondering if the new host will say "please understand" rather than discussing the potential game news. It's a lose lose. Nintendo already has a successor, "Nintendo Tree house Live", or if they don't want to go live, "Nintendo Tree house News" or just "Nintendo News". And "Nintendo Digital Event" is fine for E3 and other expos as it doesn't have "Direct" in the title. And from a different perspective, NDs started 4 years ago in 2011. 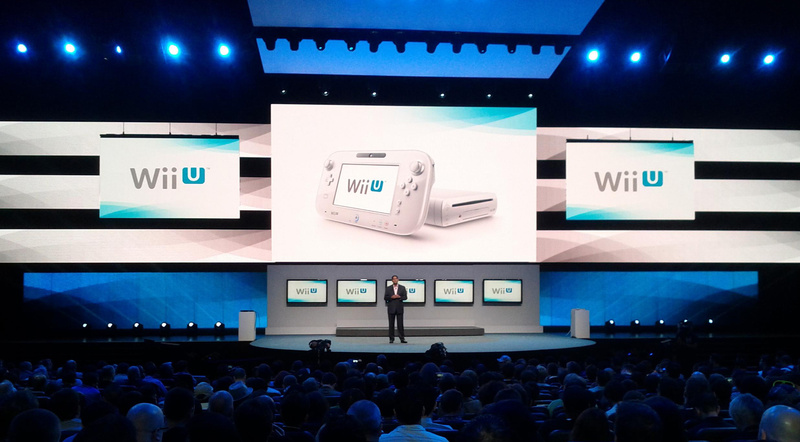 How many Wii and Wii U did Nintendo sell in the 4 years before that, and the 4 years since? Obviously it isn't working. The people watching these are already fans and likely already own the systems. It's a waste of time and resources. There are plenty of social media outlets out there, Facebook, Youtube, Twitter, Instagram, just make vids and release them there. Just don't call them Directs. And if you need a precedent for the name change, Nintendo Selects and Players Choice, both budget lines of best selling games but with different names. @XCWarrior Well said. When I started typing there were only 14 posts, my tablet doesn't au to refresh, and it took me about 20 minutes as I'm also watching my kid play the volcano boss in Windwaker. Admittedly there hasn't been a Direct in a while, but there are 2 reasons for that: A. I'm guessing Nintendo don't know if Iwata's successor will take over the direct or a separate presenter will be chosen. And B: We haven't had much to talk about in releases since E3 (Mario Maker being the next big release that Nintendo is acknowledging), coupled with the fact it's unlikely Nintendo have very little new titles to announce. Personally I think the biggest thing the ND has done is change the perception of Nintendo from a bunch of foreign businessmen and the Mad as a box of Frogs Miyamoto, to a collection of very talented and commited artists who love what they do. The Directs allow the issues with translation to not be a problem, which puts Ninty at a disadvantage in the west against US Xbox and International Sony. The Direct gives Nintendo a voice that people pay attention to as it's unique and finely polished yet human. @XCWarrior I wouldn't be surprised if Nintendo didn't host a direct for this month and if possible even for next month. But here's the thing though. Nintendo will most likely continue this approach simply because its successful and since its been hosted nearly every month, It delivers instant news. Also, the broadcasting isn't that core either as most review sites as well as NL here often show the broadcast. I think what you mean to say is that compared to game shows, this looks underwhelming.... but even then, they both do the same thing. Announcing games. If the directs do go (And I will surely miss them), then Nintendo will go for the most affordable approach to announce new content rather than doing what everyone else does. I'm sure the Directs will continue what I'm not so sure about is future of the "Iwata Asks" format. I would like to see that continue as those were pretty interesting. @Artwark If Nintendo wasn't 3rd in the console system sales this generation, I'd agree that Nintendo DIrects or successful. Or I saw an article that showed Nintendo had by far away the least number of articles written at E3 compared to the other 2 of the major 3. Something at least needs TWEAKED with Nintendo Directs. Obviously we'll be getting a new host, and we'll see what else changes. Though if Iwata could continue to host them, I'm sure they would get more views. @XCWarrior Except that's not true. They reach more than just the fans. As I said above, Directs and the contents in them trend worldwide every single time on social media. The word of mouth on social media spreads like wildfire. We live in the information age after all. The press also updates on stuff from the Directs as well. Also @rjejr, I should point out that the point of Nintendo Directs is to deliver news and information, not to sell systems. That's what advertising is for, which they failed to do effectively with the Wii U. @IceClimbers Jimmy Fallon gets things to trend on Twitter every day... and yet I don't care. I'd rather they stop doing Nintendo Directs and start marketing their games and systems. I don't dislike Nintendo DIrects, I just think the main thing they do is buzz kill big game announcements at things like E3. @XCWarrior Directs and marketing aren't mutually exclusive. Also, why save everything for one time a year when you can have big announcements all year round? Besides, 2014 proved that they can do Directs throughout the year and still have a killer showing at E3. 2015's E3 Digital Event was just presented very poorly and there was lackluster announcements. I think overall Nintendo needs to learn to talk with their fans instead of at them. Their use of social media is just too sanitized, and with limited offerings on the U, for example, they need to elbow further into the general video game conversation. With the Directs, I got the sense that this was the one time I would actually hear from Nintendo, while other developers and publishers keep the conversation more continual. Nintendo Directs should definitely stay, and not just in honor of the path that Iwata has laid out, but simply because it works and it's a great way for them to keep in touch with their fans, same as the Digital Event and Treehouse Live sessions at E3 and the Nintendo Minute videos, but if they would also do a yearly live event again (not necessarily at E3, just on any one of the big events) then that might definitely be interesting as well and bring them back in the spotlight of the general public again too. I think the Directs need to continue, as they are the Nintendo Power of this generation. Like NP of it's day, a good Nintendo Direct is one that introduces new upcoming products (maybe in more detail than an E3 announcement), interviews creators, offers gameplay advice or challenges, and builds community. In fact, I would want to see it evolve into something more akin to the Nintendo Channel. Offer up a "volume" every quarter or month and let us go hands on with previews and demos. Put up a special Miiverse section where we can give feedback, ask questions, share artwork and post impressions of it. Maybe take a poll about what Virtual Console games they should bring out (and clearly communicate when and why it isn't possible). They are so many possibilities to not only honor and continue, but build upon what Iwata did. @IceClimbers 2014 digital event, when looking back on it, was good but just did a great job of masking not a ton of games in the following year. 2015 was about the same number of games, but it had Metroid Federation Force and that goofed thigns up. Maybe 3-4 directs a year. Every 6 weeks is overkill, especially sicne they don't have much to announce for the next 10 months until E3 when they announced the NX/Mobile 2-pillar future, the quick death of the WiiU and slow death of 3DS. Again, I'm not saying these are bad things, but that's where they are headed. Heck, there could be a Friday afternoon Live from the Treehouse kind of thing. Anything to increase contact. I don't think they could come up with something better than directs. They are perfect the way they are, and no other company can reproduce a product like them. I think Nintendo will continue making them when new leadership comes in and they have stuff to talk about. If Nintendo has nothing positive to say, then a Direct will sent out negative vibes. If the NX is real then the Wii U is on the way out. It should be the 3ds that holds the fort for now, but where are the 3d games? No news is good news, as they day. Having 4 directs a year (one for each quarter, including E3) and mini ones focused on specific games would be perfect. There isn't a way to communicate with fans in an orderly way, there are just too many of them. The nintendo directs are a great way for fans to see upcoming games that will be coming out for the systems, and get them in joy-mode! I really hope that they keep them going, and I think they can. I think they could also set up their own website to talk about all of their upcoming games and add-ons (not just nintendo.com or treehouse or nintendolife), but some other pages. The Nintendo For Kids site is pretty nice, but needs more updating and more things for kids to do. A fan page would be a nice add on too, to where fans can show off drawings and other pictures of nintendo-themes...it was something that was enjoyable in nintendo power! What I was surprised about, was that they didn't just change nintendopower to just a website instead. It was a very enjoyable magazine and is greatly missed by myself! Big websites will cover the contents of the direct regardless, so I'd rather have Nintendo talk to me rather than talking to some journalists who will then write up about how problematic and toxic they feel Nintendo are, how they're doomed to fail because reasons (oh and here's some news that you were actually looking for). 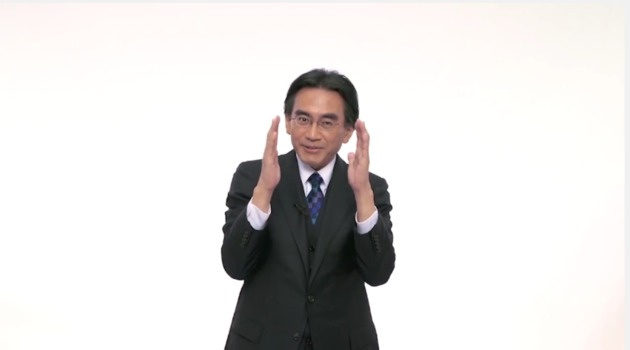 I hope they keep the 'directly' gesture, because it was never an Iwata-exclusive thing. Many people on the Directs have used it, and it perfectly sums up what they do with the broadcasts. Have Morimoto cover Japan, Reggie and Bill cover the US, and have them sometimes make appearances on the EU stream with Shibata. Hey, as long as I get surprises and game details, then I'm happy. Direct or live event. That said, I think Directs should totally stay. The users above have already covered why, but I'll just reiterate that Directs are a great way of connecting to the fans, and the media always get themselves involved. Everyone's always talking about a Direct before and after it's aired, which tells you that Directs do generate lots of excitement from the fans. Why take something like that away? @rjejr Directs are not glorified ads, but just a medium of delivering news to fans. In that perspective, Directs are far from a failed concept and, thus, not waste of time and resources. But then again, I don't get why Nintendo still don't advertise their products on TV. That's just a big no-no, in my opinion. Usually mainly see Shibata in the EU Directs, so I don't see any reason why they wouldn't continue, they can have Takeda an Shigsy headline the 'Directly to you' bit. They will have left a gap out of respect and to let people fully mourn Iwata's passing. Directs must continue and it's about time for one right now. I noticed a regular pattern has been established during their course: two months apart max. The latest exception was the April Fools Direct, which the time before that Direct left us HYPE DRY, yet the content made up for that time greatly! If it reaches September, expect a big deal of content from the next Direct! I love Nintendo Directs! Iwata was the king of Nintendo Directs, but I'll be super sad if they don't give us a Nintendo Direct soon! It's an amazing idea! "And from a different perspective, NDs started 4 years ago in 2011. How many Wii and Wii U did Nintendo sell in the 4 years before that, and the 4 years since? Obviously it isn't working." Iwata was full of charm, but those Directs did crap for sales and/or brand recognition. There probably will be a transitional period, while people get used to a new host. But those are silly reasons to not have a new Direct. And why the aversion to the name "Direct"? Would changing it to "News" or whichever really pick up outside audiences? And don't they advertise the Directs on social media already? I'd love for directs to continue, but I guess a lot of it depends on who becomes in charge of Nintendo, and whether they want to do this sort of thing. It was always satisfying watching a direct live and being one of the first to find out something awesome. @Darknyht This is a brilliant idea, I would love to see this. @Darknyht I like your idea. @Darknyht I'd love to see that. I really want Nintendo Directs to continue but this sort of awkward pause is a bit troubling to me. We'll just have to wait and see. @Darknyht That actually sounds pretty good. Someone contact Nintendo and give them this guy's idea. @rjejr As others have stated before, the point of Nintendo Directs isn't to advertise. They're to give out news "directly" to the fans. Ask any nintendo fan and 80% will say they wish Directs to continue. Yes, Iwata was the face of directs and they will never be the same without him, however that doesn't mean they should not be made. In the first few years, the Directs were regional anyway. Reggie did it for America, Shibata did it for Europe/Aus and Iwata did it for Japan. Reggie and Shibata still do regional news for their regions (as does Bill in America, Tom in Aus and now Morimoto in Japan). So I think it should just stick to the regions. I also think the 'Digital Event' should either axed or moved to December (in a similar way to what PlayStation do in December with PS experience). E3 should go back to a press-conference, with digital events featured. Would also be nice if they did something at Gamescom too. Directs are something Nintendo should keep alive - I hope they do, for all the fans sakes. Keep the NDs! Not only are they great for the news and trailers, but they are always so entertaining to watch. I love the presenting style they use with a bit of humor and subtle touches. While I enjoy the Directs I wouldn't mind at all if they started maintaining a stage presence at E3 like they used to. There is a place for both if they do it right. D'oh. I took a quick look at the picture and thought a new Nintendo Direct was coming. Anyway, as you can see, I'd like them to continue doing directs. I don't see why not. Sure, it'll be really different without Iwata presenting them, but I'm sure they can manage. Nintendo Directs were ways of keeping me moderately excited for upcoming game releases. I'd be disappointed if they discontinued them. I love the Directs, I don't watch them all the way through but I get super excited when they happen! I'd love to see more Directs, perhaps with some of the Treehouse gang. And I'd love to see the North American Club Nintendo replacement, but no news yet. Nintendo's directs as a whole are a great idea. There have been a few that I think tried to hard to be funny and instead came across as juvenile and annoying, but small updates on existing projects and even new game announcements throughout the year is a positive thing for people interested in Nintendo games. However, it is not a replacement for bringing out big news and titles at E3. This year's E3 being a key example, when the entire gaming industry is looking at your announcements, it's time to really show interesting stuff. Fans clinging to hope that games will surface later in the year during Nintendo directs is not a good approach, and not as effective at gathering support outside the continuing to dwindle Nintendo fanbase. @jrob23 They still have the Wii U games that are coming out this year to give information for, particularly Animal Crossing amiibo Festival and Star Fox Zero. There's also the DeNA stuff to go over. Also, let's not forget the 3DS. That should have some new game announcements sooner or later. I think that the main thing is just that Nintendo's in a bit of an awkward pause following Iwata-san's passing in combination with a post-E3 news lull. It makes it more of a lull when we know there's stuff to announce, but it isn't the right time for those announcements. @VeeFlamesNL @IceClimbers @NintendoFan64 "They're to give out news "directly" to the fans." @DarthNocturnal By using the name "Direct' I think they are just asking for a direct (no pun, really, just came out) comparison to Iwata. Either that, or the very first next Direct is going to open or close w/ a 3 minute montage of Iwata clips, so that when it's all done all we are going to be talking about is the montage and not the games. I know it's just a word, and I understand that my argument may be viewed as nothing more than "semantics" but I don't ever want to see anybody say "directly to you" using that hand gesture, and if they don't say and do that then it isn't a direct. This is The DAuly Show an dStewart left adn Noah i srepalcing him. The man who is synoumous w/ ND died. It's his, it should die w/ him. Lets put it this way, do you want to host the next direct? I sure as heck don't. I think Trinen could do it - this coming from a person who hated him a year or so ago - but why put the pressure on him, on anybody? Just let it go and come up w/ something else. Price is Right didn't overhaul everything after Bob Barker quit. Same games, same style, you can still win "A NEW CAR!". It's still going strong with Drew Carey. And people are clearly still watching it. They had to get used to Drew, no doubt. But it's still ticking. @rjejr And? Twitter is great, but it's not the same. They can do both. I'm sure Iwata-san would have wanted the Directs to continue, with Morimoto being added as a co-host earlier in the year as evidence. Yes, the Directs will never be the same without Iwata. It'll be weird for a while, especially for the first one, but people will get used to it. Also, I don't see the problem with someone else doing the "directly to you" hand gesture. It honestly would be a great way to honor his legacy - something small, but it means a lot symbolically. @DarthNocturnal - Good example, but I remain steadfast. You're probably right though, the show will go on, Nintneod and I disagree on almost everything. If there was another Piper's Pit I wouldn't have watched it though. I, as well as most Nintendo fans, for sure, want the Nintendo Directs to continue and I think Mr. Iwata-san would want them to continue as well. Sure, they won't be the same without him, but I think those NDs really helped bring awareness to the new games coming out as well as some funny moments in between. @IceClimbers I'd be ok w/ it if he stepped down or simply handed it over to someone else, just not like this w/ him passing somewhat unexpectedly. And NO "directly to you". Does Tim Cook wear a black turtleneck? Absolutely adore the Directs, keep them going! Obviously they won't be nearly as enjoyable without Iwata on the stage, but even so, Nintendo could give someone else the spotlight just to give out the news. 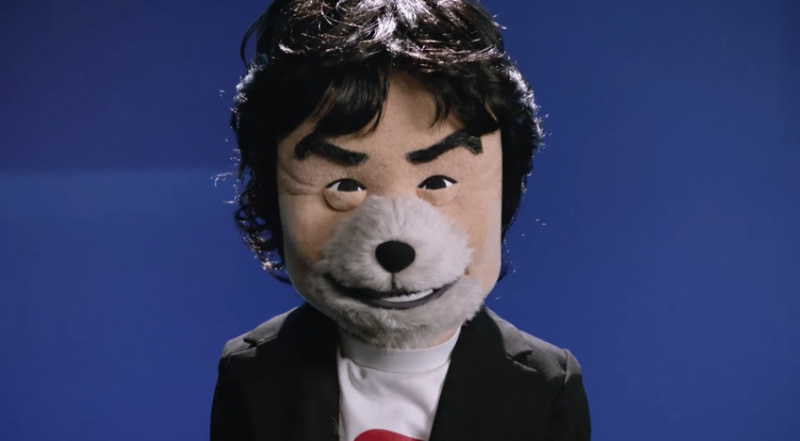 You know what, they should just have Iwata's puppet do all the work. @rjejr Well it'd certainly be better than using Iwata's puppet. That puppet would be a little... eerie? Approximately 100% of Nintendo fans want Directs to continue. Reggie once said that they read forums and listen to fans. I sure hope this is the case. I miss Nintendo Direct, are they still coming back or is that all for them? I thought they were great. Yo nintendo who the hell is running your company!? Whats going on? Its been 5 weeks since Iwata died! If it comes back it won't be the same. Iwata was a charming likable guy that respected his audience. Even though his English wasn't the greatest you could tell that he was trying his best because he enjoyed doing Directs for the English speaking audience and didn't want to leave them out. I love the Nintendo Directs and like many other people here I think Nintendo should continue the Directs even if they aren't completely the same . Also it is Tokyo Game Show Next month so we might get a Japanese Nintendo Direct if we are lucky I think, but then again there wasn't any Nintendo Direct for Gamescom either so we will see ;^^. (As a European myself I wish there was a Nintendo Direct during Gamescom u_u. ). I also think a Nintendo Direct a quarter would be nice and with a few Mini Directs here and there, and I think it would help Nintendo too even if it is just keeping a good relationship to us fans . I don't know if this would be a good idea , but if possibly Nintendo could stream their Nintendo Directs or at least something similar where Nintendo could have the Directs on a kids channel at a reasonable time of day. i mean showing the Nintendo Directs on a mainstream TV channel or at least on one of the kids channel I think would definitely help in terms of visibility and help Nintendo advertise more than just to us core Nintendo fans . If not then a Splatoon anime as we have seen the effects of what a TV show can do with Pokémon and Youkai Watch can have on getting kids interested, andhopefully get them to buy Nintendo games and other Nintendo themed merchandises. What do you three think of my thoughts if it is okay if I ask? . I know as I live in Norway ;^^, but at least UK and America I think . (Or Cartoon Network maybe as that channel is nearly everywhere at least I think?). The directs are great and should continue; I would guess that Iwata wouldn't want them to stop. Personally I believe they should happen on a regular basis so that fans and the media know exactly when they are due so they can get revved up and excited. Maybe one every three months with a dedicated direct in-between. I see what you mean and Cartoon Network might not be the best choice then and I am not sure if Disney Channel has the right commercial policy to show Nintendo Directs potentially ;^^. And yes, the deal with DeNa and the mobile games that are coming will likely help Nintendo a lot if they do it right . Also the mobile game should be coming this fall, so maybe a new Nintendo Direct? ^^. Of course keeping the work up on social medias too . @SanderEvers ...and that's why I said what I said. I think most of us hope that the Directs will continue, with a new face. Personally I'd like to see Reggie doing them from now on. Every direct starting with Are your bodies ready? 'Cause mine is! @andrea987 And that's fine, because Directs were only made to deliver news to fans. Advertising and marketing, on the other hand, are the ones responsible for winning new customers. Sadly, Nintendo doesn't seem to bother with those things. I hope Nintendo directs stay. They were so fun to watch. I have a feeling they won't though. I'm interested in seeing directs continuing, but I like your ideas about having larger-scale public expos to reach a wider audience, which is something Nintendo could do with doing. I am afraid the magic of the directs is gone. Iwata had incredible charm, but I just want to slap Reggie. Don't expect directs much at all, they slowed by a lot when Iwata went mystery sick and now that he is gone... don't hold your breath. I think the directs should continue but I'm really not sure if they will or not. Nintendo DID say there was more Zelda U footage coming soon, so I think the likelihood of a Zelda U-focused Direct is pretty good, or at least something similar like the Xenoblades thing. Here's hoping! WHOA! That image, does it mean there are more Splatoon Amiibos coming?! @VeeFlamesNL ...and that's why I said...oh, forget it. For E3 I would like Ninty to go back to press conferences. Nintendo Directs should take up the time in-between. @AJ_Lethal Twitter is just 1 way to to get the word out. Host it on Youtube, advertise it everywhere. @IceClimbers If they actually use Iwata's puppet other than a montage - I just feel like if they ever do another ND the montage is coming - I may stop watching them. Satoru Shibata is close to being as good as Iwata at hosting Directs, and could do directs for all 3 regions. Also, Shibata singing 'call me maybe' was one of the most endearing things I've seen in a Direct to date. @Kimite Ilike the TV show idea. They do them in JApan all the time, well whatever that show i sthat has Pokemon news on it all the time. In the US every fall there are those summary shows for the new TV line-up. You would think they would have enough mass appeal. But then again th eG4 tv channel turned into TechTV and that bombed, adn even E3 gets less aminstream tv coverage than it used to, so mayb ethere isn't any dmeand? I sitll think it oculd work, maybe in the Pokemon slot on Saturdays mornings, or whenever Sonic Boom is on. The NDs usually run about the right length tv, and are usually well done, even if the contents is less than stellar. Sounds like a good idea to me. Which means it will never happen. Not sure if it needs to, who watches tv anymore, better off getting it on Netflix. Netflix exclusive would get them a lot of coverage I think. I still want more Directs. I live in Norway, so I can't really speak for US or American TV channels in general ;^^. (There are nearly no Nintendo themed news or shows except for Pokémon on Disney XD right now I think unfortunately). That there are less coverage of E3 on mainstream TV channels or TV channels in general might be because that tablets and Smartphones have kind of made normal gaming devices less necessary maybe ;^^. But yes, I think if Nintendo started advertising more on Netflix they would get more kids and hopefully more adults too interested in Nintendo's consoles or at least handhelds. If Nintendo had their own tab or category on Netflix with both old and new TV shows and movies like from Captain N to Sonic Boom you could say. Also Netflix exclusive shows could be nice and having a playlist of past Nintendo Directs too . If I remember right I think the Youkai Watch TV show will come out in America late this year or early next year year, and hopefully that will help in getting today's kids to buy a 3DS like in Japan . @ThomasBW84 Man, I just noticed Nintendo Japan removed all Directs that Iwata appeared in from their YouTube channel and website..that's weird. (so basically all of them except some game Directs and the one only Morimoto appeared in).